On the above page you will find several maps. 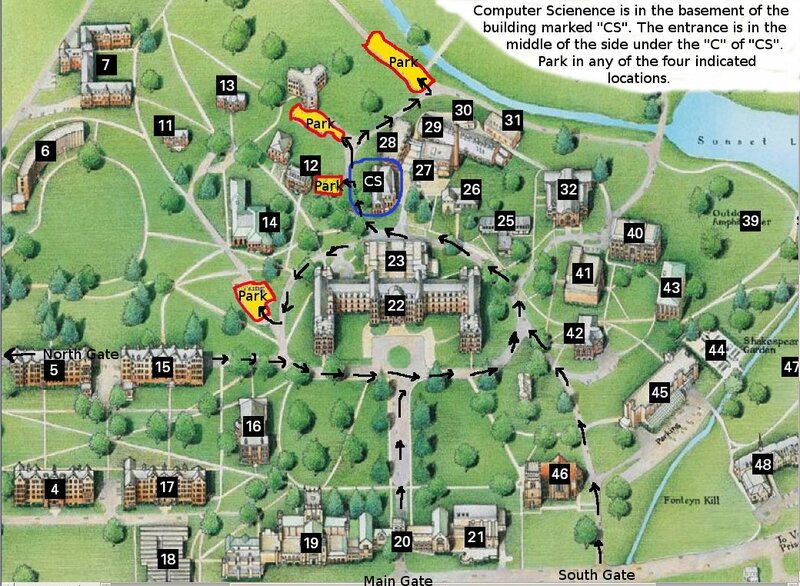 Computer Science is Building #24 on the PDF admissions map or Building #38 on the black and white PDF standard map. Near the bottom of that page there is also a local road map. Main Gate and South Gate are on Raymond Ave.